LOOK AT THIS WHILLY'S WHEELER EDITION 4X4 JEEP WITH POWER WINDOWS, LOCKS, WHEELS, NEW TIRES, HARD TOP AND MANY MORE OPTIONS. RATES AS LOW AS 4.99%, 5YR/100K MILE WARRANTIES AND CARFAXES ARE ALL AVAILABLE. IF YOU HAVE ANY QUESTIONS FEEL FREE TO CALL JARED AND REALIZE HOW EASY BUYING A SUV ACN BE WHEN YOU TALK AND DEAL DIRECTLY TO WITH THE OWNER. 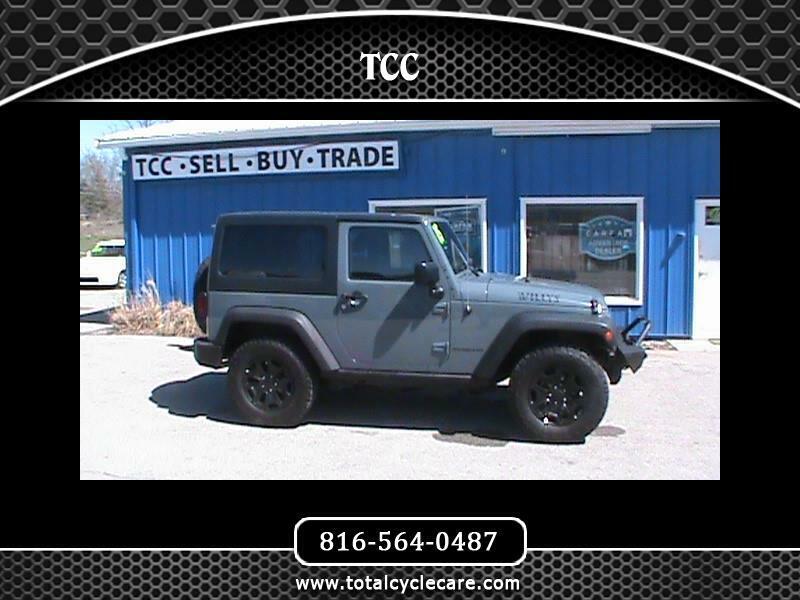 Visit TCC online at www.totalcyclecare.com to see more pictures of this vehicle or call us at 816-564-0487 today to schedule your test drive.